If someone asked me to describe my summer in just two words, the ones I'd select would be necessary and delightful. The slower pace has unwound tension and propped open delicious little windows of free time that have reminded me I'm a human being, not merely a human doer. It's been a gift. Plus, I've been productive in ways I never can be during the fall and spring semesters: House organization! 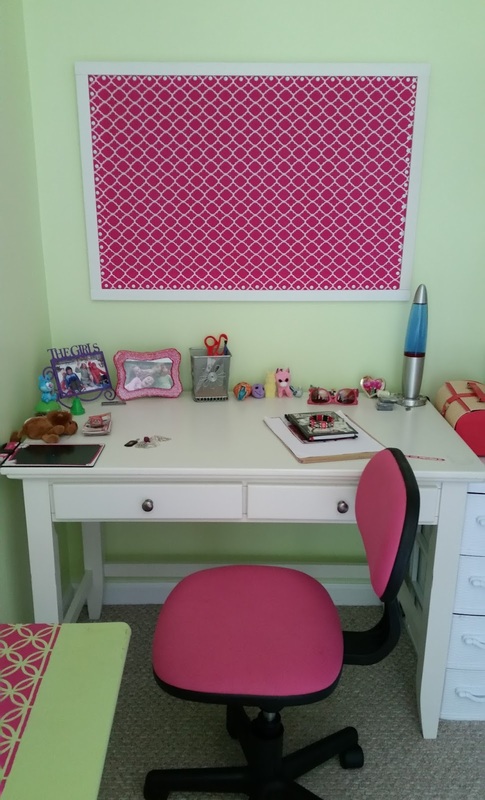 DIY projects! 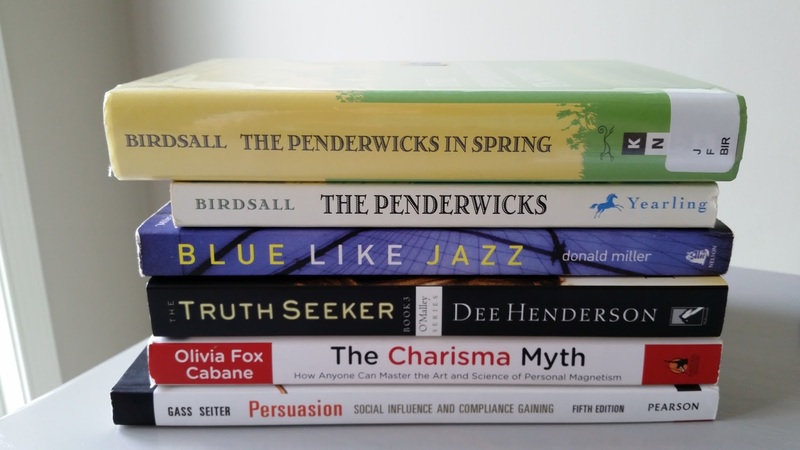 Reading for pleasure! Summer, let me count the ways I love you. Reading. Each Tuesday evening my daughters and I visit the library. In addition to a few titles I'm reading for work, I've been devouring some enjoyable fiction like the latest installment in Jeanne Birdsall's The Penderwicks series, Dee Henderson's O'Malley series, and (my recent favorite -- currently on loan and therefore not pictured below) Denise Hildreth Jones' The First Gardener, a gorgeous Southern novel that still lingers in my thoughts. Organizing All. The. Things. Purging the house is a never-ending process, but I take inordinate pleasure in it despite the fact that it's a never-ending process. 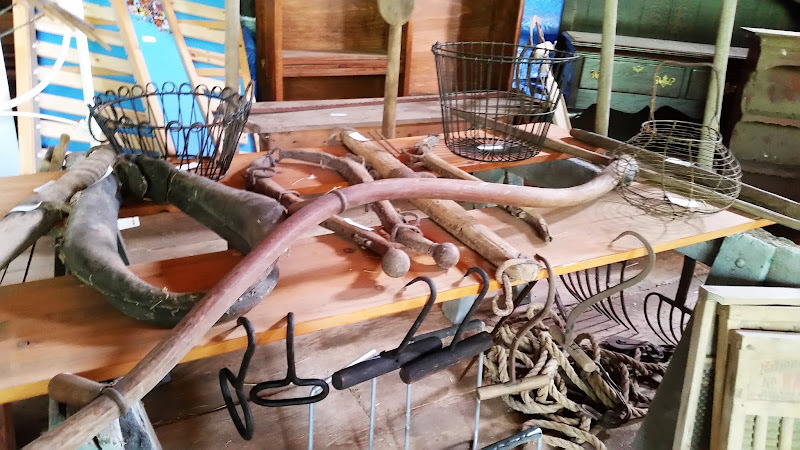 Case in point, the afternoon when my husband said, "Are you ready to clean out the garage?" (which occurred the day after we cleaned out the shed), I was convinced he was flirting with me. Apparently, cleaning sprees are one of my love languages. Rain and One Prolific Garden. This summer, we never ask the question, "Will it rain today?"' We simply assume that it will and ask when it'll occur. 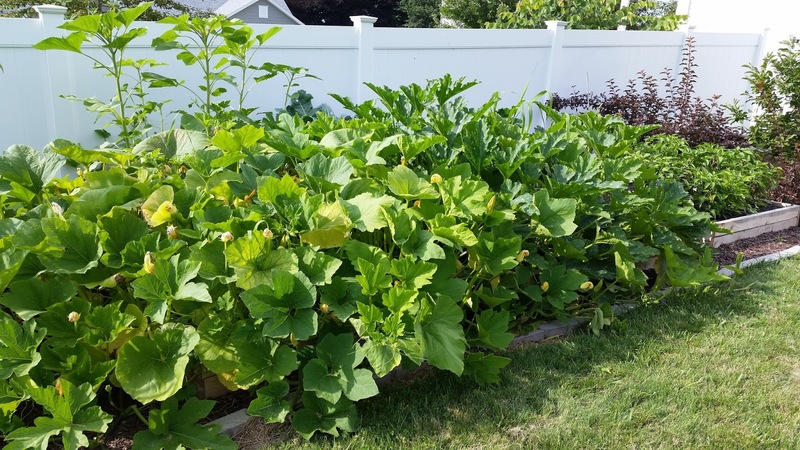 All of this rain not only has resulted in a crazy grass-cutting regime, but also has generated one prolific garden. 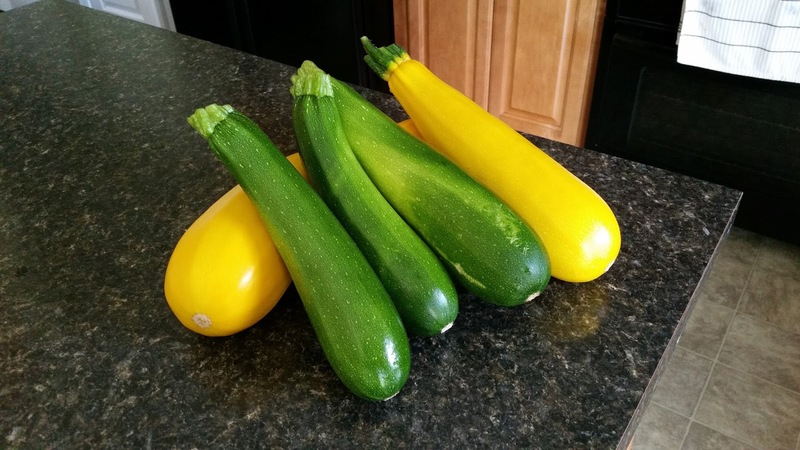 Case in point, this is one day's crop of zucchini and summer squash. We're either grilling, baking, or sauteing these bad boys daily. My neighbor suggested I try zucchini pancakes, which I promptly Googled and set my sights on this Barefoot Contessa recipe. Garage Sales. Ironically, as much as I love purging my own house of items we've outgrown, I equally love going to garage sales on Friday or Saturday mornings to discover what other households are purging. I'm selective with my purchases, and I seem to be on a hot streak. 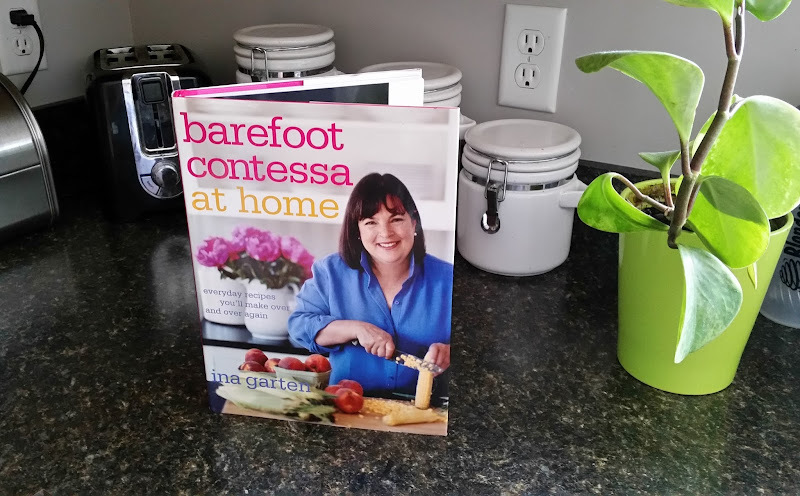 The same morning I searched the zucchini pancake recipe online, I visited a yard sale where I found the Barefoot Contessa cookbook where it originally appeared for a quarter! 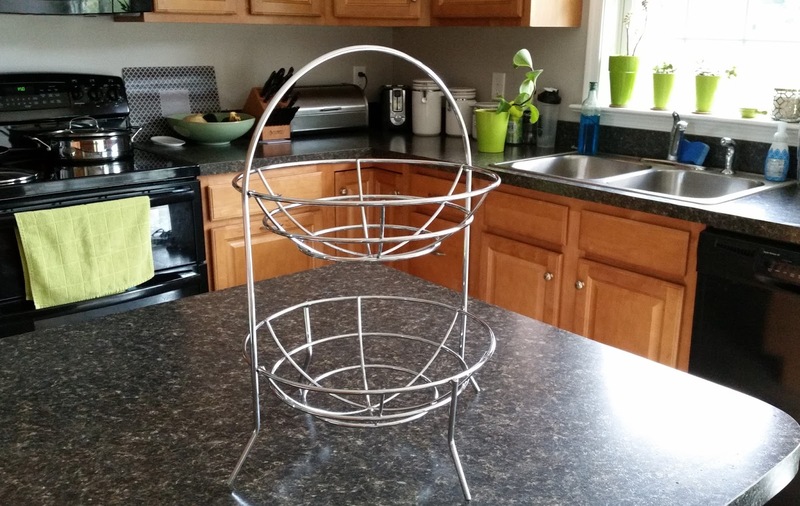 I also picked up this wire contraption at the same sale. (It's now holding my zucchini.) It had been quite dirty, but after a thorough washing it's as good as new. And it was a dime. True story. All told, this summer garage sale's endeavors have yielded some lovely flower pots, a decorative vase, a few trinkets for the girls, several good books, a small bookshelf, and one gorgeous Ann Taylor pencil skirt in my size that looks like it never was worn, but was priced at $1.75. 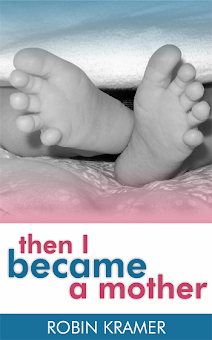 (Another true story). What I love most about garage sales is finding raw material for DIY projects, like when I bought a large bulletin board for two dollars. It was nothing special with its natural wood trim, but I freshened up the border with white paint, bought a yard of fabric in a bold print, and secured the fabric with white tacks. It's now an awesome addition above my ten-year-old's desk. 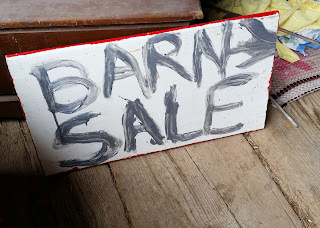 The Barn Sale. 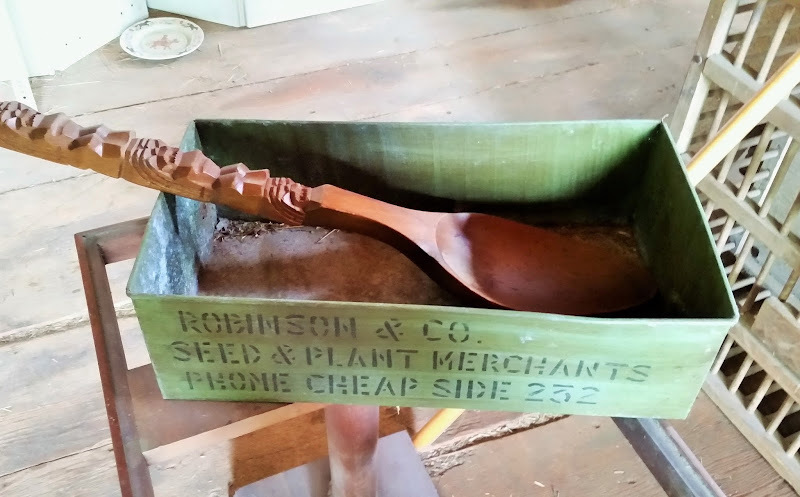 If garage sales weren't enough, this past weekend I visited a barn sale, which took matters to a whole new level. 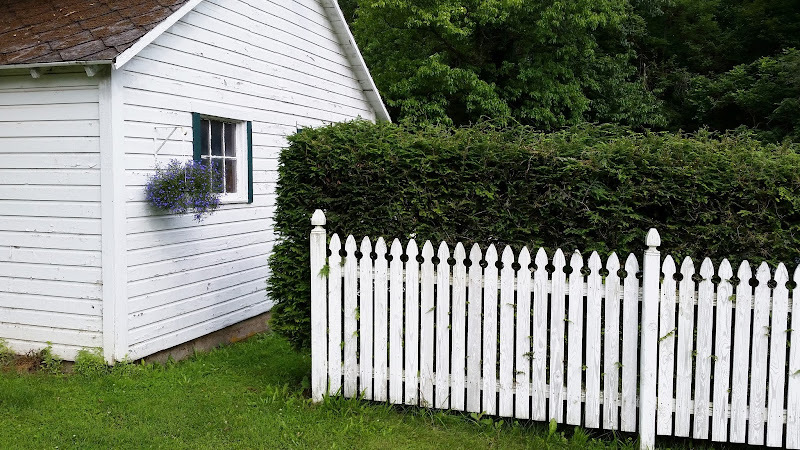 My excitement rose as I walked the property's gravel path alongside a charming picket fence to reach the barn. Most of the time, I had no idea what I was looking at, but I enjoyed it quite a bit. 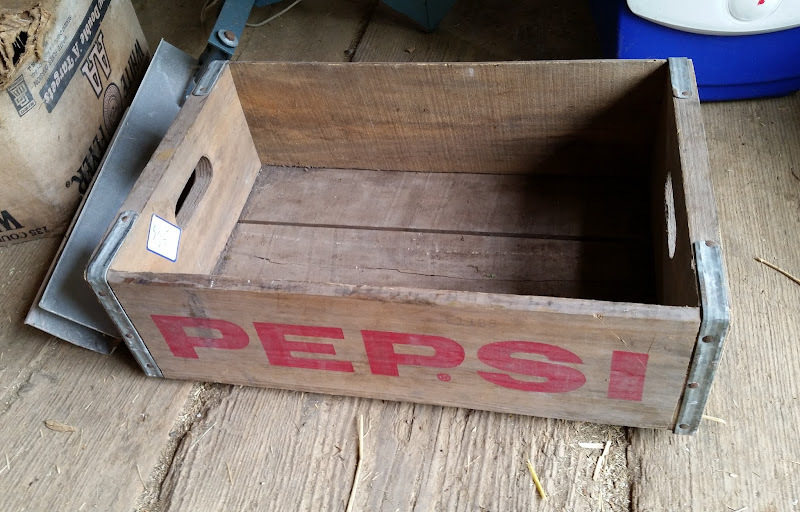 The only item I momentarily considered was this Pepsi crate, which I suspect would have been something that the guys on American Picker would have bartered over. Local Festivals. Gathering a community together around art, music, and food? Yes, please. This is one of the nicest ways to spend a warm summer evening. 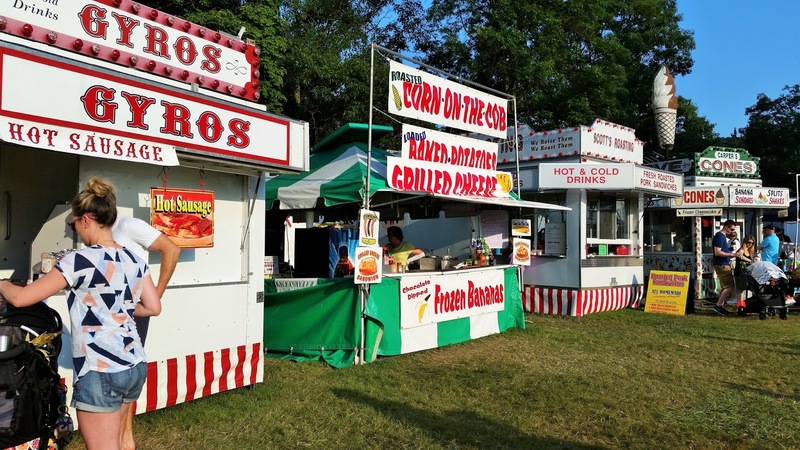 It feels right deep in your core to stroll around a field looking at booths while eating a Gyro or a funnel cake. The Future. 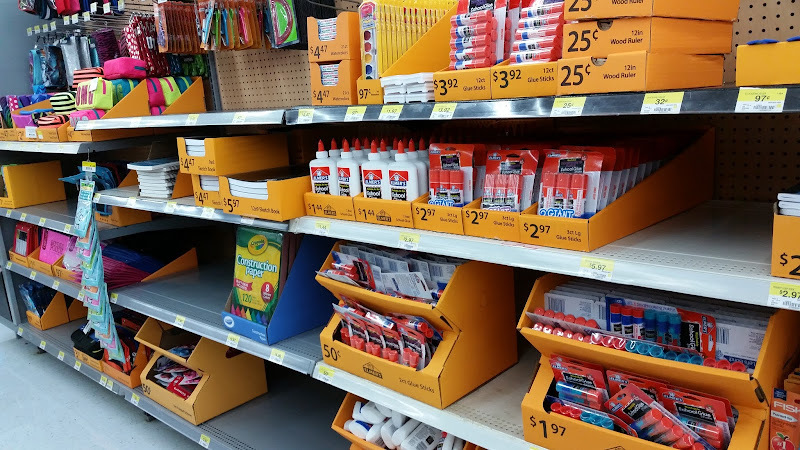 In the midst of this summer grandeur, Wal-Mart had the audacity to set up its back to school displays. I will ignore these aisles until mid-August, which is when my mind will be able to go there. Yes, school for my children (and me) will resume once again, and yes, we'll be ready for it once it does, but for now, I'm choosing to embrace July. This necessary and delightful July.
" I was convinced he was flirting with me" HAHAHAHAHAHA!!! I think I may have woken my son up gafawing at that one. ^--^ I, too, take much happiness in cleaning. Oh, what a beautiful collection of activities. I am having major summer envy! It has been quite a cold winter over here (by our standards - it's all relative).